Hey everyone! We are so super excited to announce that sign-ups are now open for Brodi Ashton's EVERBOUND, the second book in the very awesome Everneath series. 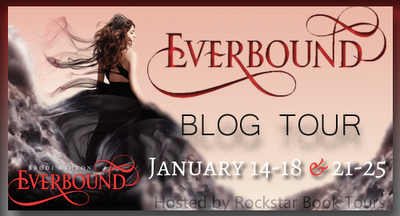 The tour will run for two weeks only - January 14th through 18th and January 21st through 25th - with one stop per day and will consist of reviews, author and character interviews and spotlight/excerpt posts. There will also be giveaways, but those details are still in the works. If you'd like to be considered to be a stop on this tour, please first sign up as a tour host and then fill out the sign-up form HERE. SIGN-UPS CLOSED. We are so unbelievably thrilled to be hosting this amazing author and her to-die-for sequel which releases on Janury 22nd. We're also very much looking forward to reading Cole's novella, NEVERFALL, which releases on December 26th of this year. The third book in the series, as yet untitled, will be released in 2014. Nikki Beckett could only watch as her boyfriend, Jack, sacrificed himself to save her, taking her place in the Tunnels of the Everneath for eternity — a debt that should’ve been hers. She’s living a borrowed life, and she doesn’t know what to do with the guilt. And every night Jack appears in her dreams, lost and confused and wasting away. Desperate for answers, Nikki turns to Cole, the immortal bad boy who wants to make her his queen — and the one person least likely to help. But his heart has been touched by everything about Nikki, and he agrees to assist her in the only way he can: by taking her to the Everneath himself. Nikki and Cole descend into the Everneath, only to discover that their journey will be more difficult than they’d anticipated — and more deadly. But Nikki vows to stop at nothing to save Jack — even if it means making an incredible sacrifice of her own. 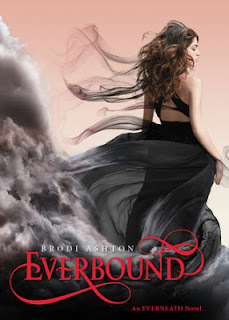 In this enthralling sequel to Everneath, Brodi Ashton tests the bonds of destiny and explores the lengths we’ll go to for the ones we love. I'm in love with the first book! I'd absolutely keel over dead if I got picked! Just wondering, once the tour host have been picked up will everyone that signed up be e-mailed about who got in and who didn't? Hi Lil Berry, when the tour schedule is announced, we'll email those who have made it on the tour and posted the schedule here.